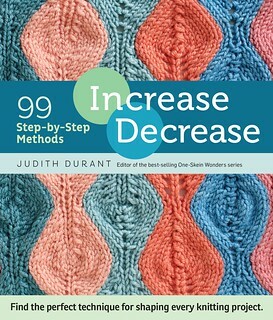 Thank you to everyone who entered to win a copy of Increase, Decrease! The lucky winner has been chosen thru Rafflecopter, but if that wasn't you...don't worry. Click the Amazon link above and order a copy today! Congrats Chan... I know you will put the book to good use. Congrats Chan. Now I know who to contact when I need shaping advice. Oh that's exciting!! Thanks. I guess this will have to motivate me to knit again... or at least to finish the baby blanket for the baby born 10 days ago. Hooray! Thanks so very much.